The Transportation Safety Board said Tuesday the westbound 112-car train had been parked on a grade for two hours near Field, B.C. — about 80 kilometres west of Banff along the Trans-Canada Highway — when it started rolling. It barrelled along for just over three kilometres before 99 cars and two locomotives derailed at a curve ahead of a bridge, the TSB said. Only 13 cars and the tail-end locomotive remained on the tracks. “The lead locomotive came to rest on its side in a creek and a number of derailed cars came to rest on an embankment,” said TSB senior investigator James Carmichael as he provided an update on the investigation in Calgary on Tuesday. On Monday, Greg Edwards, with the Teamsters Canada Rail Conference (TCRC), said the train fell more than 60 metres. The crash killed conductor Dylan Paradis, engineer Andrew Dockrell and trainee Daniel Waldenberger-Bulmer, all based out of Calgary. “At this point, we’re calling it a loss of control, which is when the crew can no longer maintain the track speed,” said Carmichael. Carmichael said a new crew had just boarded and was preparing to take over control of the train, which had been parked with its emergency air brakes activated. “It was not anything the crew did. The train started to move on its own,” he said. 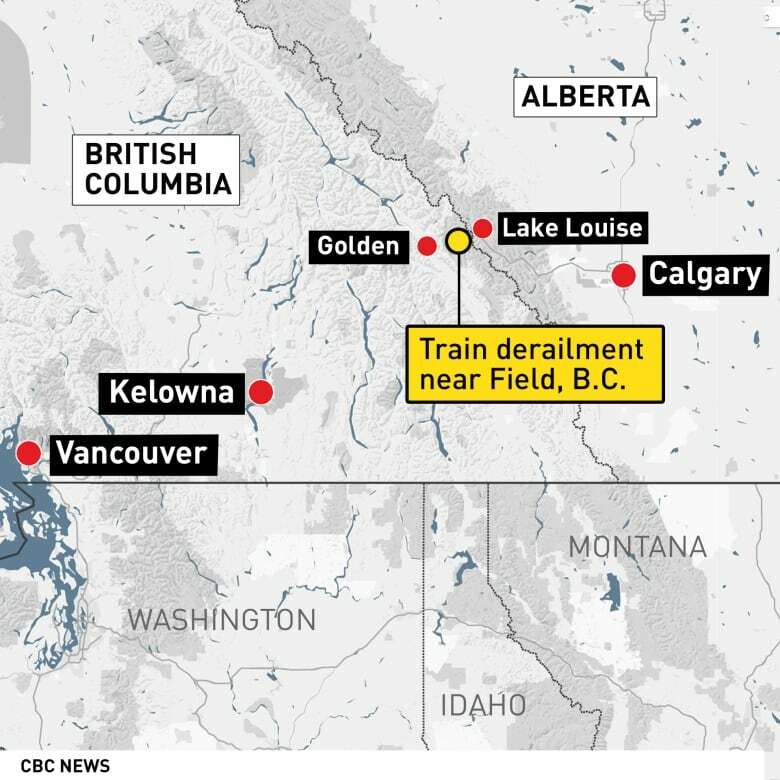 The TSB said the train gained speed well in excess of the 32 km/h maximum for the tight turns in the mountain pass in the moments leading up to the derailment, which happened at Mile 130.6 of the Laggan Subdivision between the Upper and the Lower Spiral Tunnel, near Field, B.C. He said it was too early in the investigation to conclude what led to the derailment. “We will look at every indication of how that train was handled going down that hill,” he said. The probe will also look at when each car and locomotive was built and when they were last in for repairs, as well as what discussions might have taken place during the crew switch-over. The TSB website says the investigation will also examine weather conditions at the time of the incident, the railway’s “winter operating plan” and its training specific to the reliability of air brakes in extreme cold temperatures. Some data was recovered from the tail-end remote locomotive, and work is underway to obtain data from the mid-train remote locomotive, the agency said. There are currently two investigators on site and two working from Calgary, with assistance from the TSB Engineering Lab and the TSB Human Factors Division. Federal Minister of Transport Marc Garneau said he has sent a ministerial observer as well as staff from Calgary and Vancouver to help the TSB investigation. “I want to see what actually comes out of the investigation to be done by the Transportation Safety Board and also supported by my ministry,” he said. CP Rail said there was no threat to public safety and there were no dangerous goods involved in the derailment. British Columbia’s Environment Ministry confirmed dozens of grain cars went off the tracks. RCMP said they are assisting in the investigation, along with Employment Safety Standards Canada and the B.C. Coroners Service. Edwards, with the TCRC, said he got the call in the middle of the night. Edwards said Dockrell, the engineer, had more than two decades of railroad experience. It has a slope grade of 2.2 per cent, one of the highest rail slopes anywhere in North America, according to the Encyclopedia of North American Railroads, which includes historical maps of what the author refers to as the region’s “arduous” slopes. 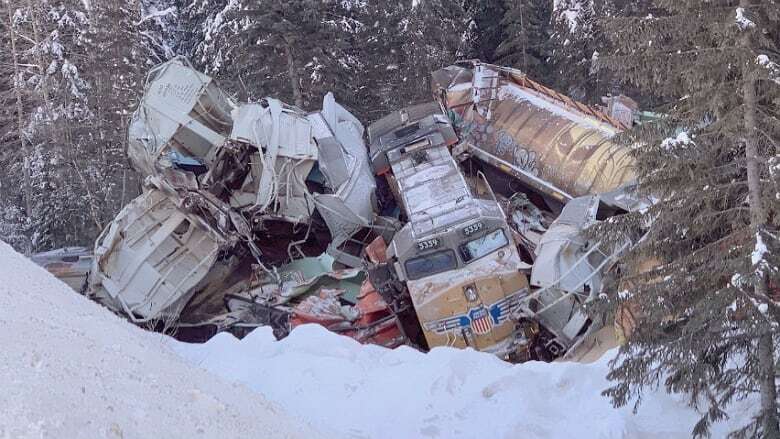 Sixteen cars of a CP Rail train derailed on Jan. 3 in the same area, which is near the Upper Spiral Tunnels, close to Cathedral Mountain, between Field and Lake Louise, Alta. In 1997, a CP Rail train derailed during an uncontrolled high-speed descent through Upper Spiral Tunnels. In that incident, an exhausted operator dealt with a depleted air brake and did not remember to engage a supplemental braking system, according to the TSB report. The three crew members were not hurt in that incident.